Not every site is built on Wordpress, which is why we also provide the ability to embed the lead form into ANY WEBSITE. 3. 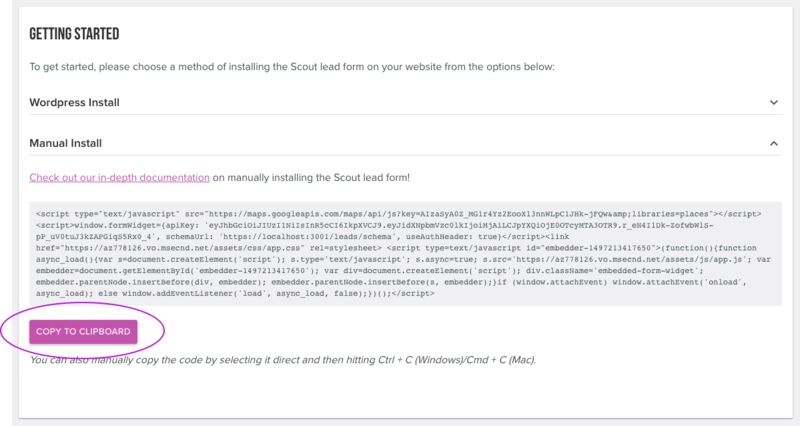 Select "Manual Install" and then click the "Copy to Clipboard" button to copy your the code snippet. Now that you've copied the code snippet, it can be added to any website. This differs on a site-by-site basis depending on how your site is setup. If you're site is running on a content management system other than Wordpress, let us know and we can point you in the right direction.